James Hoover Review - Differences Between James and Henry? 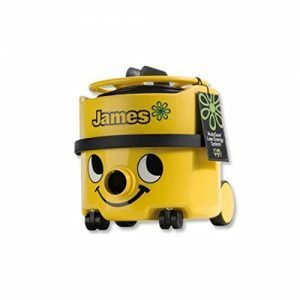 James the Hoover – also known as Numatic James or James Hoover – is a member of the famous Henry Hoover range made by Numatic. James has many similarities to Henry the Hoover but also has some subtle differences. What are the differences between Henry and James and what does James have to offer? Our in-depth James Hoover review aims to answer those questions. Henry the Hoover is well-known for being a powerful and reliable vacuum cleaner, and the same can be said for his family member James Hoover. However, whilst Henry and James do share a number of features, they are not the same vacuum. Starting with the obvious, James and Henry are different colours. Whilst Henry is red, James is finished in a very bright yellow colour scheme. 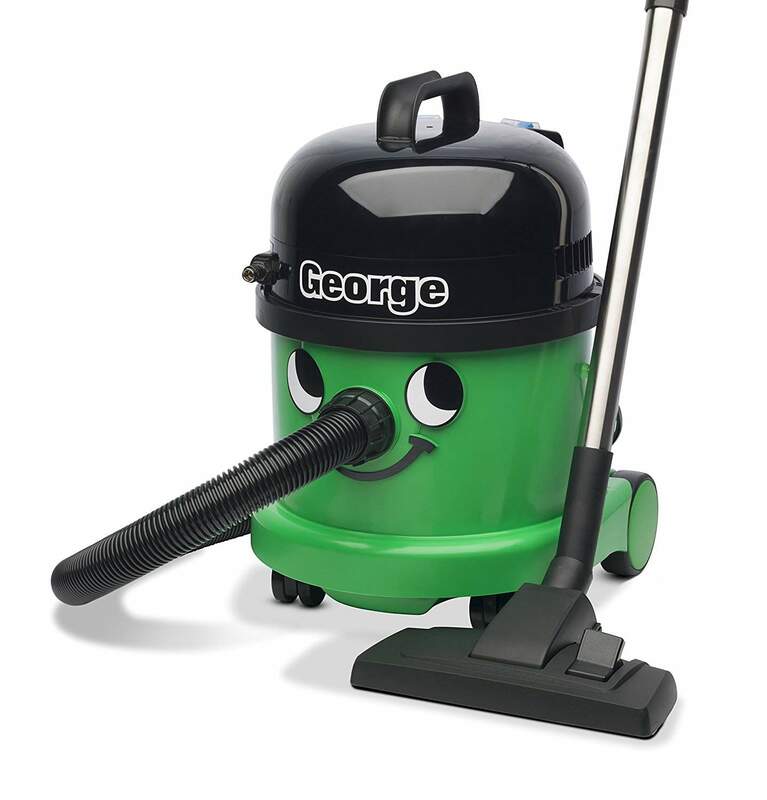 He has a similar smiling face to Henry, as is tradition with vacuums from the Numatic range. One major difference is that James is slightly lighter and smaller than Henry, meaning he’s easier to carry around the home and well-suited to cleaning smaller households. Despite this, James has a large 8L capacity – the same as Henry – and a powerful suction, so what he lacks for in weight he more than makes up for in performance. Like Henry, James has an extra long ten metre cable, but unlike Henry, the cable isn’t stored inside. Instead, James’ cable is stored on top of the vacuum, wrapped around the motor unit. James does not have the hand rewind mechanism that is synonymous with Henry. It’s rather easy to gain access to James’ cable though, you just need to remove the retaining ring so that the cable can be removed. James has a single speed motor, so there is just a simple on and off switch. He also has a red mains light that always illuminates when James is plugged in and also when he’s turned on. James has parking brackets at the back which hold the main floor tool, and a bumper that goes all around the circumference of the cleaner which helps to prevent damage to both the vacuum and your furniture. The full cleaning tool that comes with James is more or less the same as supplied with a standard Henry or Hetty. James comes with a 2.4m hose, and this is a fairly new addition following changes to EU regulations which put a much lower limit on the motor power of vacuum cleaners. James’ hose is tapered so it’s much thicker at the cleaner end than it is at the handle. This helps to increase the airflow through the machine, and means James can still perform extremely well despite his lower wattage motor. 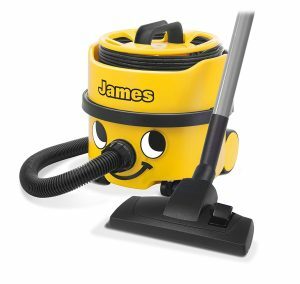 James’ cleaning head has also seen adjustments, and in our opinion these have helped to make James a more desirable vacuum cleaner. It’s now a plastic cleaning head that comes with James, replacing the metal plate. Whilst some users preferred the metal base plate, we feel the new head is a superior nozzle and does give better performance. 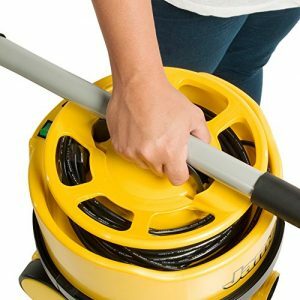 Like with all Numatic hoovers, James comes with a number of additional cleaning tools to make your life easier. James comes with a soft dusting brush that has fairly long and soft bristles. There is also a crevice tool for all your nooks and crannies. 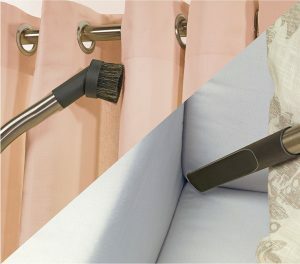 In addition, there is an all-purpose upholstery nozzle that comes with a detachable brush attachment, which you can slide to help shift more stubborn surfaces such as those containing pet hairs. The main difference between the tools that come with James compared to the tools that come with Henry, is the extension tubes and the handle. These are made of aluminium so they are much lighter than the ones supplied with Henry. You get two aluminium tubes plus an aluminium handle with a suction control. Just like Henry and all vacuums from the Numatic range, James has extra-strong dust bags which are built to last. James’ huge HEPA flo dust bag is located under the filter, which itself is located underneath the motor units. The bags are very large and also very strong, so they don’t need to be replaced very often. It’s very unlikely the bags will burst – even if overfilled – due to their strength. Cheaper bags would likely burst if overfilled or break if something sharp pierces the bag, but the HEPA flo bags have a little silicon type seal which help to keep them incredibly tight and very difficult to break. There is a little flap that you can hold over the entrance to the bag when you’re removing it to keep the dust in. To fit a new bag inside James, you need to fit it onto the black bag support tube. You just push the bag in until it’s flush against the body. You must ensure the bag is not sticking out over the edge, make sure it’s all tucked in before you put the filter back in place. And then finally you can pop the motor unit back on, ensuring the lettering is lined up. Like all Numatic vacuums, James is a solid hoover and great at cleaning both carpets and hard floor surfaces. On carpets James has no problem at all – whether general dust and dirt or more stubborn waste such as pet hairs, James is your man to get the job done. On hard floors James is very good at picking up dirt and debris. His strong suction power means he cleans hard surfaces effortlessly, gliding along the hard surface with ease. As an added bonus James is not so strong that he’ll start bringing up hard floors which aren’t stuck down really well. The suction power on some vacuum cleaners can be so strong that they can start to lift up hard floors, but Numatic seem to have got the balance just right with James. Whilst he’ll pick up the dirt and dust you want him too, he won’t start lifting the floor itself. Whilst James is more than adequate at cleaning carpets and hard floors, he’s also pretty handy at all your above-the-floor jobs such as your upholstery, your stairs and your curtains, as well as up-high dusting such as cobwebs in your home. James has a range of tools that makes these jobs easier. His lightweight extension tubes are really useful for reaching up high. If you’ve got a cobweb in the corner of your room you can use the tubes attached with either the crevice tool or the dusting brush, either of which will do the job. The crevice tool is ideal for all your nooks and crannies such as the down the side of your sofa, behind radiators and removing pesky cobwebs in the corner of rooms. The small nozzle is ideal for upholstery, stairs and curtains. When cleaning tight spaces such as the inside of your car, you can remove the aluminium handle and connect an adapter that enables you to put any of these small tools directly on the end. This gives you greater flexibility to reach those smaller, more difficult spaces. Whilst there will be better hoovers available for cleaning stairs – mainly because Numatic vacuums tend to be bulky – you could certainly get worse than James. With James positioned safely at the bottom of a staircase, he can clean eight steps thanks to his extension tubes and attachments. Any more than that and you will have to move James so that you can clean the remaining stairs. A standard flight of stairs in the UK is 13 steps, so James can reach more than half without being moved. If you’re looking for a powerful and reliable vacuum cleaner to use around your home, you could do a lot worse than James the Hoover. His more compact frame and weight means he’s a slightly lighter alternative to Henry Hoover, although like all Numatic vacuums he’s not the easiest to move around the home. James’ range of tools and extensions means he can handle most jobs that come his way, and his huge bag capacity means he doesn’t need emptying very often. Due to the bulkiness of Numatic hoovers, perhaps James’ main negative is he’s not the best vacuum for hoovering stairs. He can reach more than half of a standard staircase when positioned at the top or bottom, but there will be better vacuums out there for stair cleaning. But considering the price of James, you’ll be hard pressed to find a more reliable cylinder vacuum that won’t break the bank.